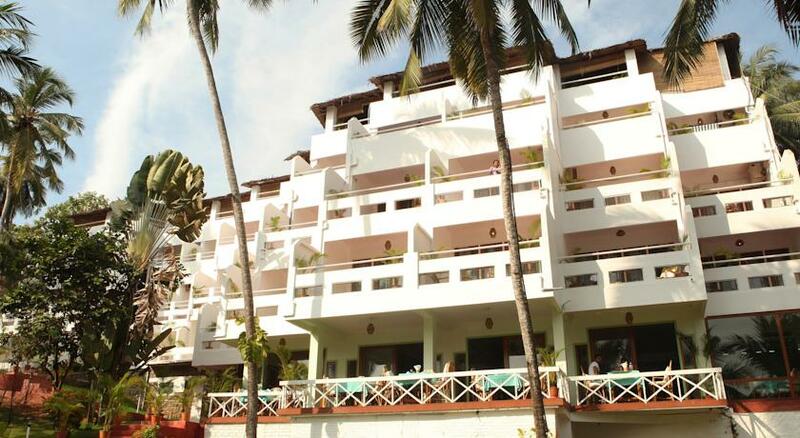 Located at the Kovalam light house beach in Kerala, Soma Palmshore Beach Resort offers an ideal vacation resort by the beach and helps the guests to relax, refresh and relieve every moment. 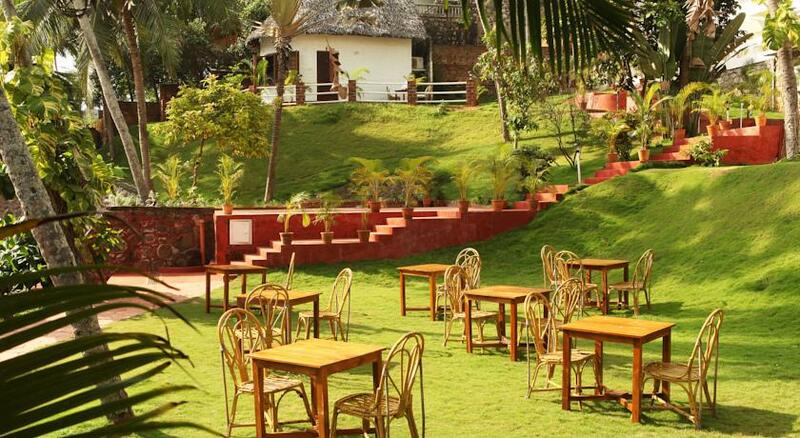 The unique spot offers more than an ideal vacation along with the best accommodation, relaxing Ayurveda spa, mouth watering delicacies served at the restaurant and the soothing Yoga effect. 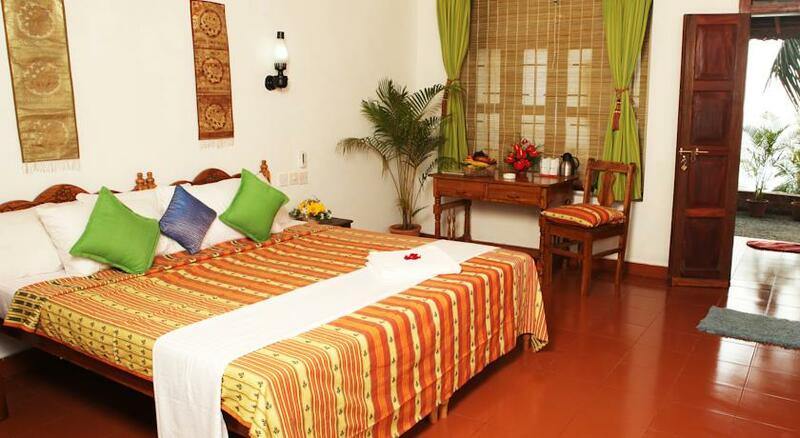 Guests can also indulge in visiting the various tourist spots that including Kovalam, various beaches and backwaters, shopping spots, Napier museum, Kuthriamalika palace museum, science and technology museum, Vizhinjam marine aquarium, Vettukad church, Shankhumugham beach, Varkala beach, Koyikkal palace, Anchuthengu fort and Padmanabhapuram palace. 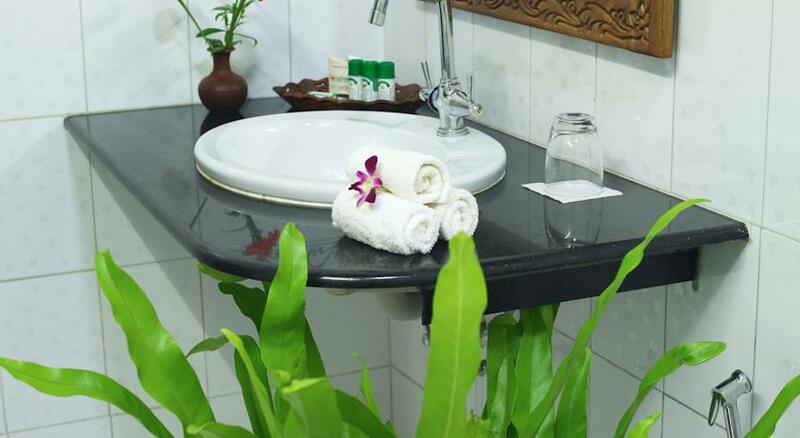 The hotel also provides best in class facilities including swimming pool with a under water treatment plant, poolside venue for parties, beach umbrella service, beauty parlor, Ayurveda spa, conference hall, internet services, safe deposit lockers, room service, laundry facility, doctor on call, travel desk, cultural shows on request, spacious car parking facility and currency exchange. 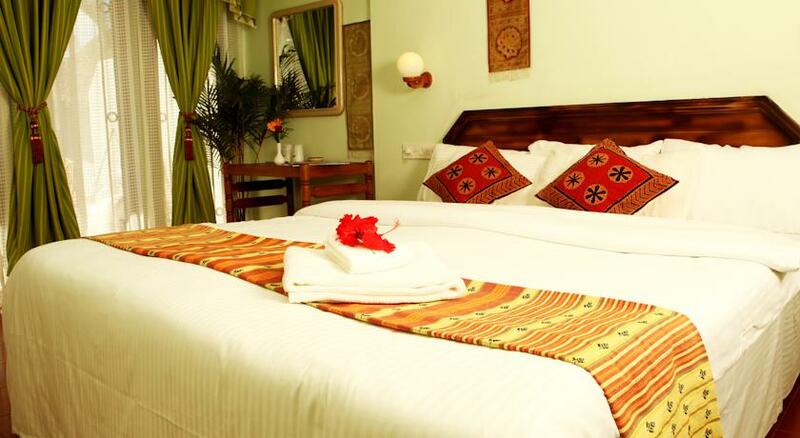 The hotel offers 18 standard double rooms that are tastefully furnished and guests can choose between A/C or non A/C rooms. 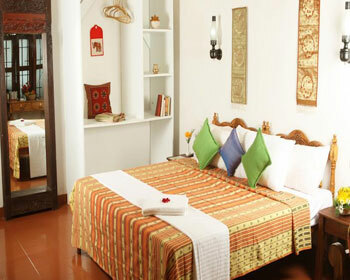 The room features a large double bed, a ceiling fan, centrally air conditioned within room temperature control, TV with satellite connection, direct dial facility, 24 hour room service, attached bathroom with running hot/cold water, 24 hour room service, chargeable laundry services, separate sitting area, a large work desk, a dressing table, and a private sit out balcony that overlooks the beach view. 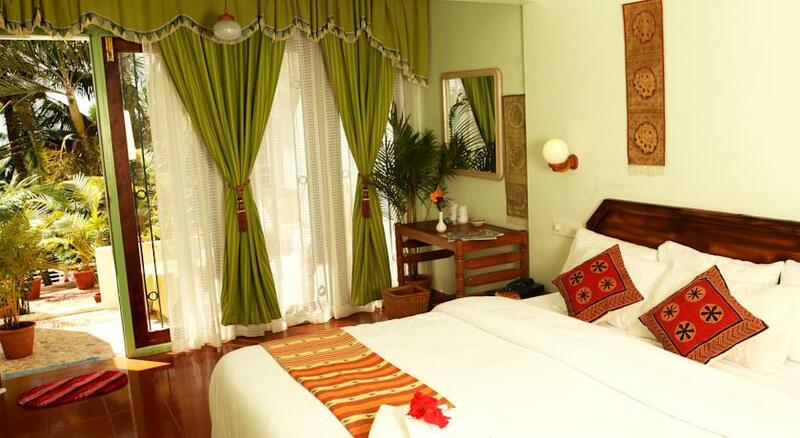 The hotel offers 15 deluxe double rooms that are tastefully furnished and guests can choose between A/C or non A/C room. 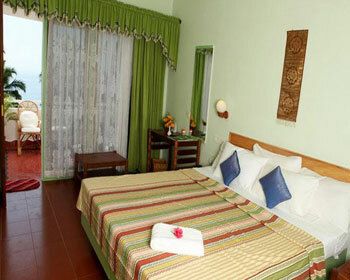 The room features a large king sized bed, a ceiling fan, centrally air conditioned within room temperature control, TV with satellite connection, direct dial facility, 24 hour room service, attached bathroom with running hot/cold water, 24 hour room service, chargeable laundry services, separate sitting area, a large work desk, a dressing table, private sun decks in the balcony, and a private sit out balcony that overlooks the beach view. The hotel offers 2cottages that are that are spacious and provide complete relaxation and guests can choose between A/C or non A/C cottages. The cottage features a large king sized bed, a ceiling fan, centrally air conditioned within room temperature control, TV with satellite connection, direct dial facility, 24 hour room service, attached bathroom with running hot/cold water, 24 hour room service, chargeable laundry services, separate sitting area, a large work desk, a dressing table, a large living room, private sun decks in the verandah, and a private sit out verandah that overlooks the beach view. The in house multi cuisine restaurant offers a variety of Indian, Tandoor, Continental and Chinese cuisines along with some local Kerala delicacies. The restaurant offers a la carte as well as buffet for breakfast, lunch and dinner. 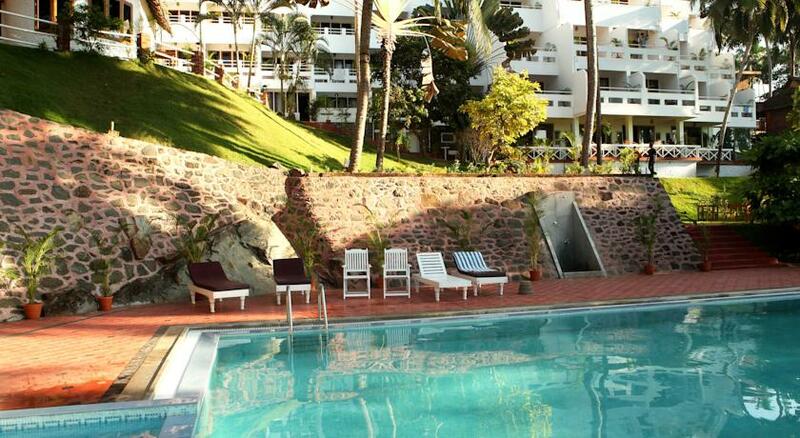 The café is located near the beach and offers a wide range of snacks, beverages and a pleasant view. 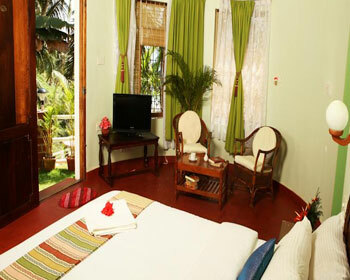 Nothing is better than Kerala for holistic treatments. Ayurveda is usually preferred to promote healthy wellbeing. 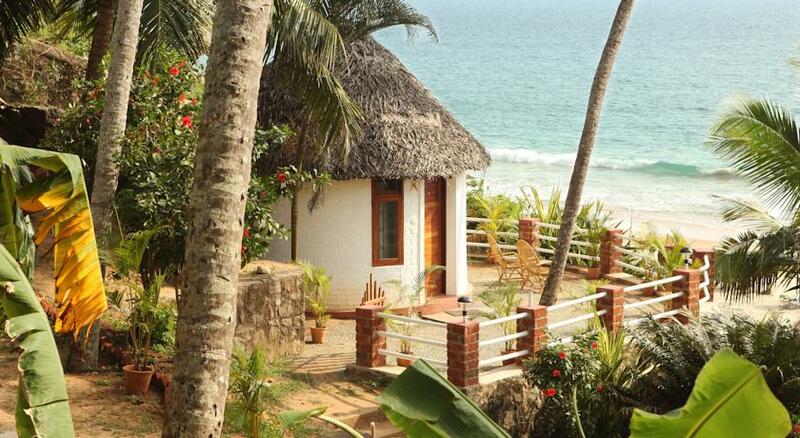 Going with the flow, Soma Palmshore in Kovalam offers relaxing Ayurveda massages and therapies. Somatheeram is appointed to deliver these massages. Therapies based on Ayurveda, Yoga and Meditation have benefitted many in numerous ways. 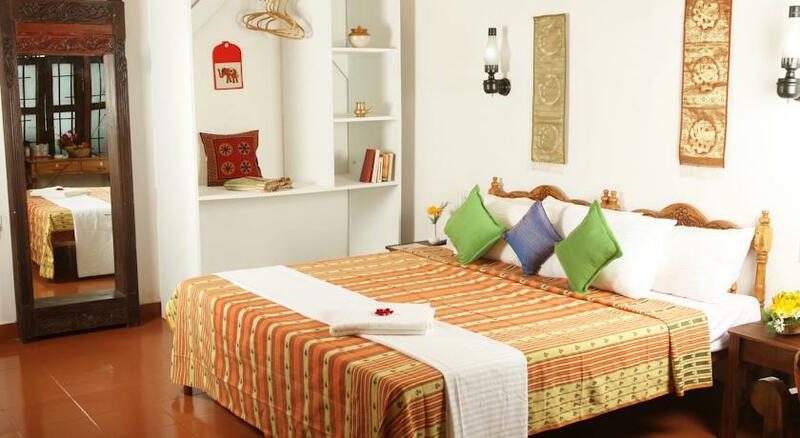 Here are the details about the treatments and therapies facilitated at this Ayurvedic Centre. Massage of whole body with lukewarm medicated oils, which helps in building immunity. Relax your aching muscles by undergoing Njavarakizhi session. After oil massage, potlis containing Njavara Rice are pressed all over your body. Comprises of pouring medicated warm oils or liquids over the forehead. The sole purpose is to get relief from rheumatic diseases. Medicated oil and herbal concoction are the main ingredients used. It is useful for treating disorders of nervous system. A concoction of castor oil, milk, ghee and various herbs is placed over head for a specific time. Helps in losing weight and reducing fat. Unlike other treatments, it uses herbal powder instead of herbal oil. Another name of this is seven point massage. It is conducted by two therapist and is really beneficial to promote health and wellness. This in addition of other therapies are used for other treatments. This Ayurveda ritual involves the application of herbal juices, medicated oils etc. through the nose. This treatment is highly effective for certain kinds of headaches as it clears out inner channels. Medicated ghee is given internally. The input in a proportionally increased quantity for a period of 8 to 12 days. It is a holistic Ayurveda treatment for Osteoarthritis, Psoriasis and other ailments. The Ayurveda treatmnets includes herbal leaves and herbs or herbal powders are put in boluses with hot medicated oils. These packets are applied all over the body for 45 minutes per day for a period of the treatment. Yoga – When talking about wellbeing, yoga is unmissable. If Ayurveda is a science then Yoga is practicing that science. Various asana are competent enough to boost spiritual growth. Yoga is boon to overcome stress and is of great importance. Concentration (Dharna) – Focus your mind on a single object. Meditation (Dhyaan) – Provides utter relaxation. Indulge into a 'deep sleep' and discover a new you.